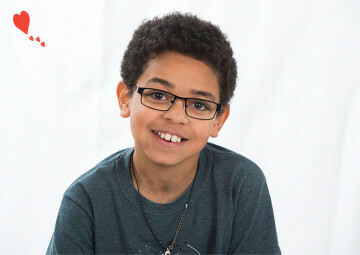 Shane is an active and energetic boy with a love of Star Wars. He has a room full of Star Wars memorabilia and is creative and talented when it comes to putting together Legos and Star Wars toys. He loves to watch movies but also likes to be outside. Shane likes to camp and explore. He is an outdoorsy kid who loves football and basketball with basketball being his favorite. He loves to go to movies and go on adventures. He has a very sharp wit and is often funny and silly. He is a smart kid and has a lot of friends in school. Shane is very animated. He cannot get away with anything because his face often gives him away! Visit me at the Heart Gallery of the High Plains. Shane needs a family who is active and likes sports. He has a love of Star Wars and will fit perfectly with a family who shared his science fiction fantasies! Shane would love to belong to a family who attends sporting events. He needs a family who will keep him busy and possibly travel as he has recently developed a love of traveling. Shane is a whirlwind of activity and needs a family who can keep up with him!